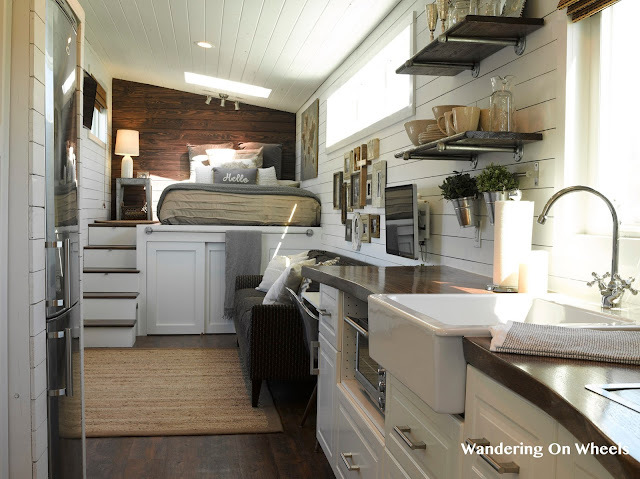 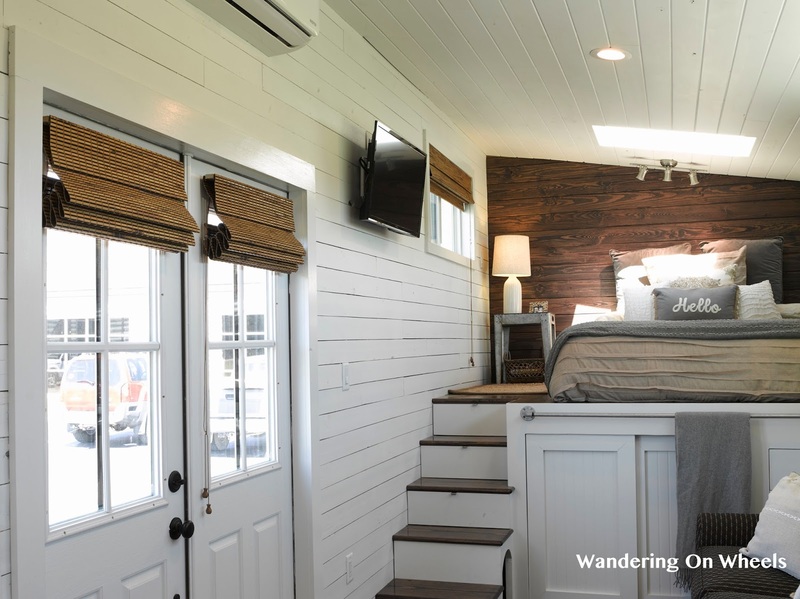 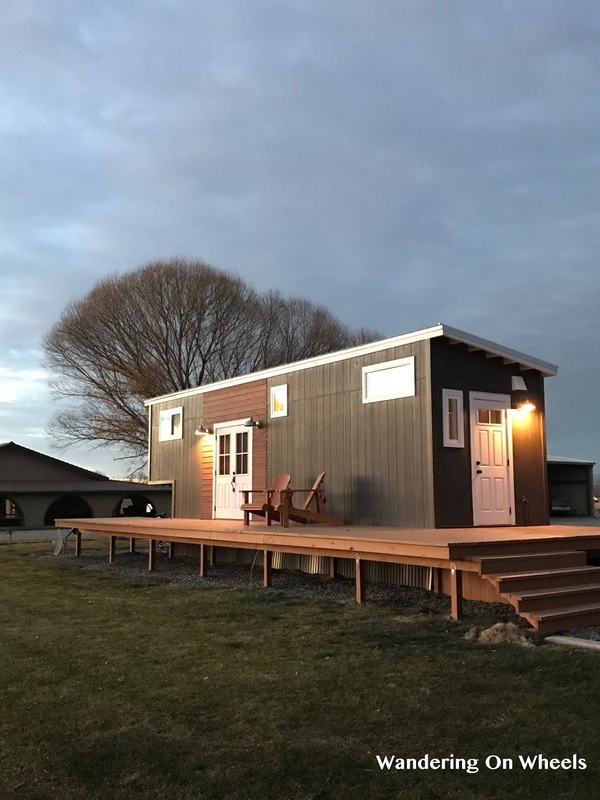 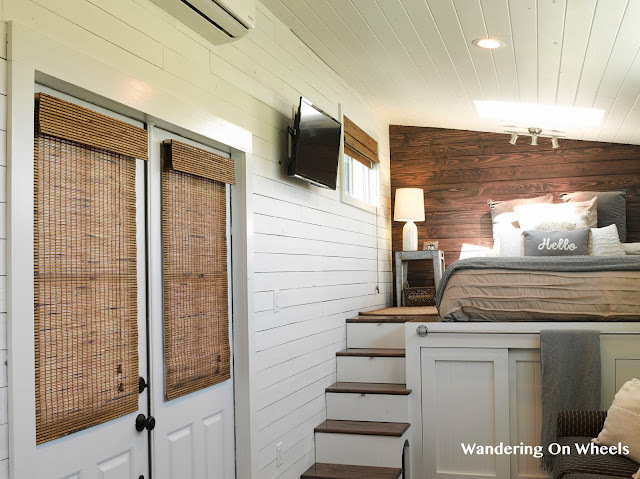 The popular Wandering on Wheels tiny home is on the market and yours for the taking! 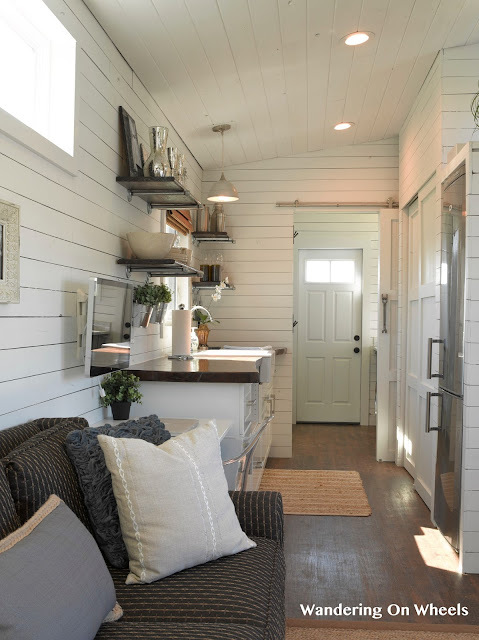 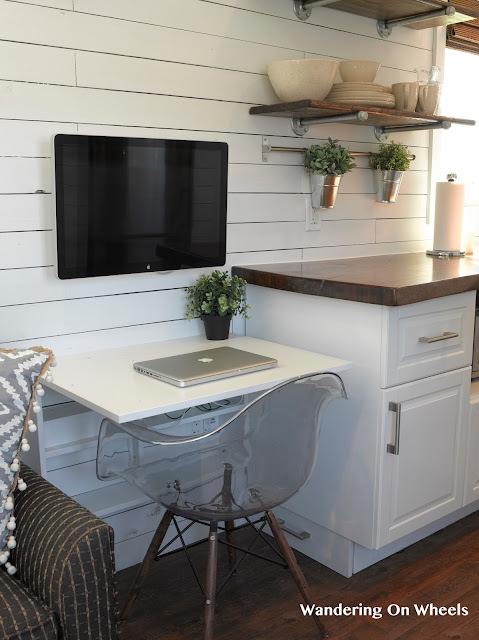 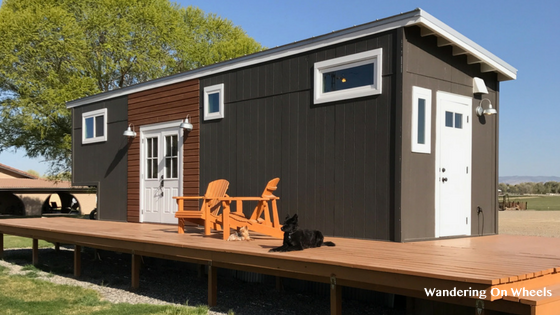 This beautiful tiny home features the popular no-loft layout and a gorgeously decorated interior! 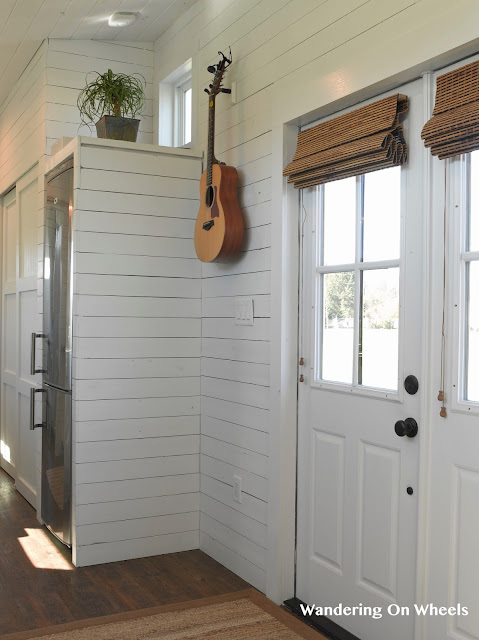 When you walk through the front entrance of this home, you’ll find yourself in the living room. 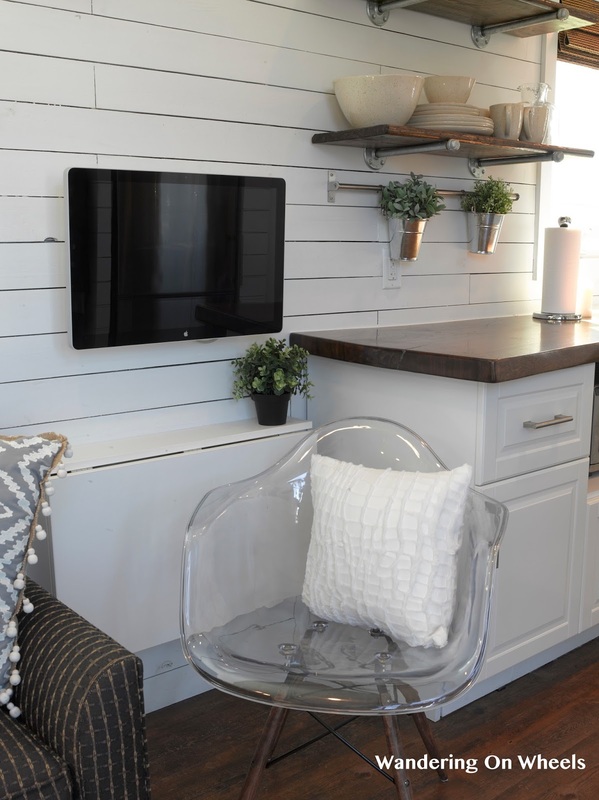 This space is furnished with a sofa, fold-down table and acrylic accent chair. To the left of the living room is the bedroom. 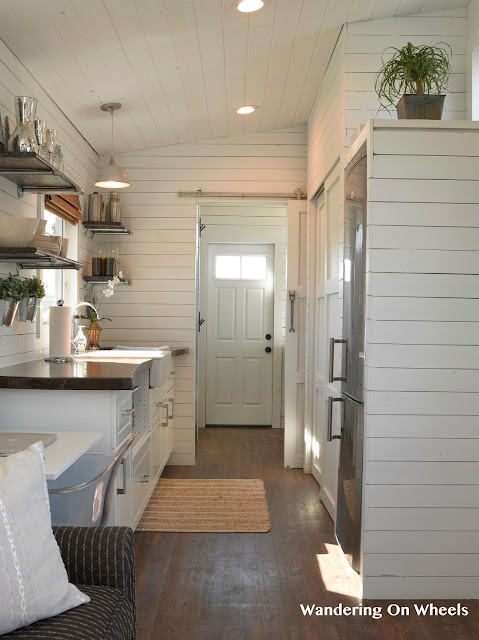 The short flight of stairs can be used to access this space. 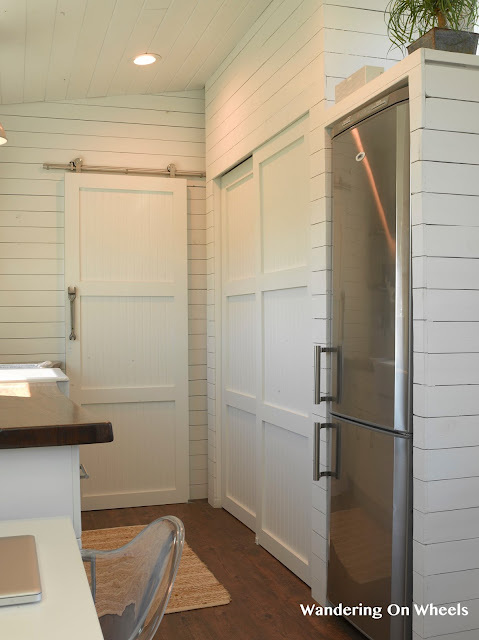 If you walk out of the bedroom and through the living room, you’ll enter the kitchen. 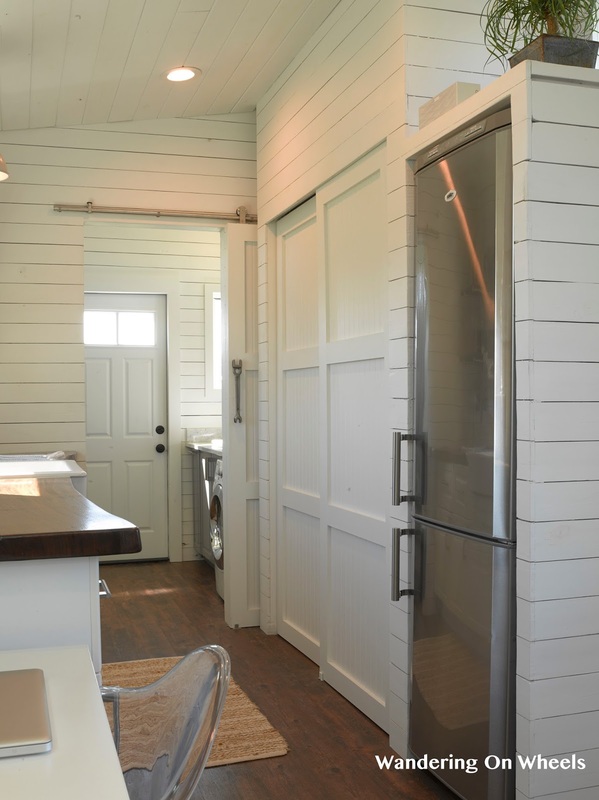 This space features dark wood countertops, white cabinetry, shelving for storage, a white farm sink and refrigerator/freezer. 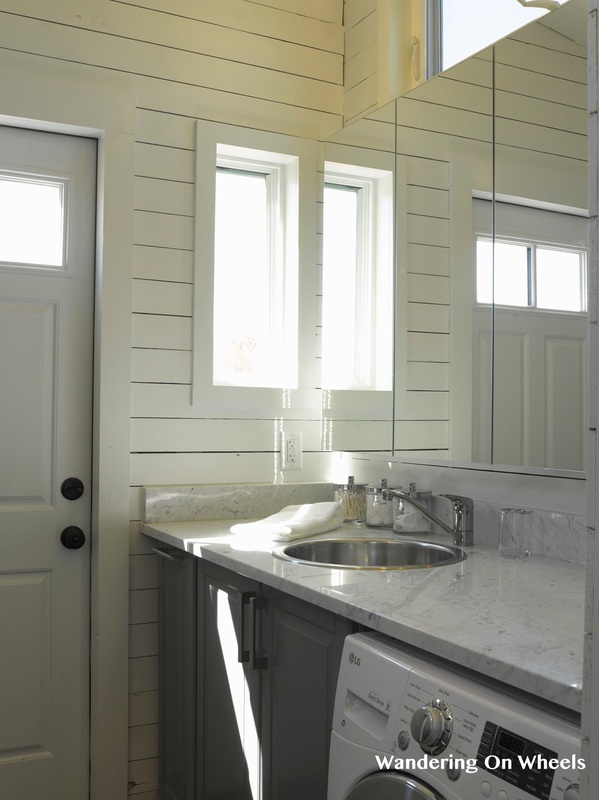 Past the kitchen is the bathroom that is furnished with marble countertops, gray cabinetry, a stainless steel sink, shower and toilet. 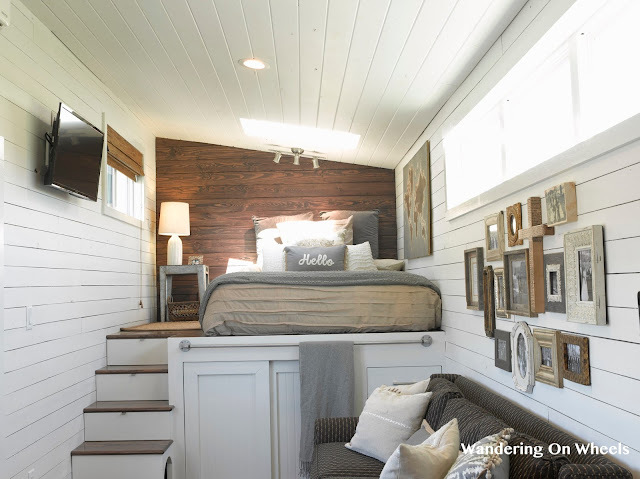 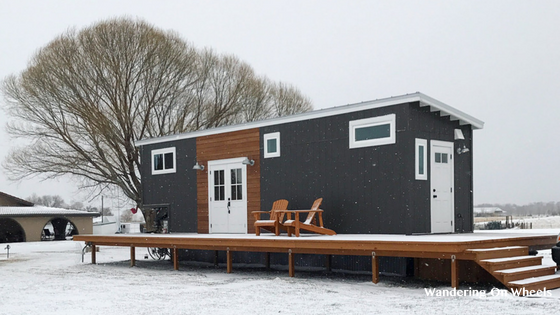 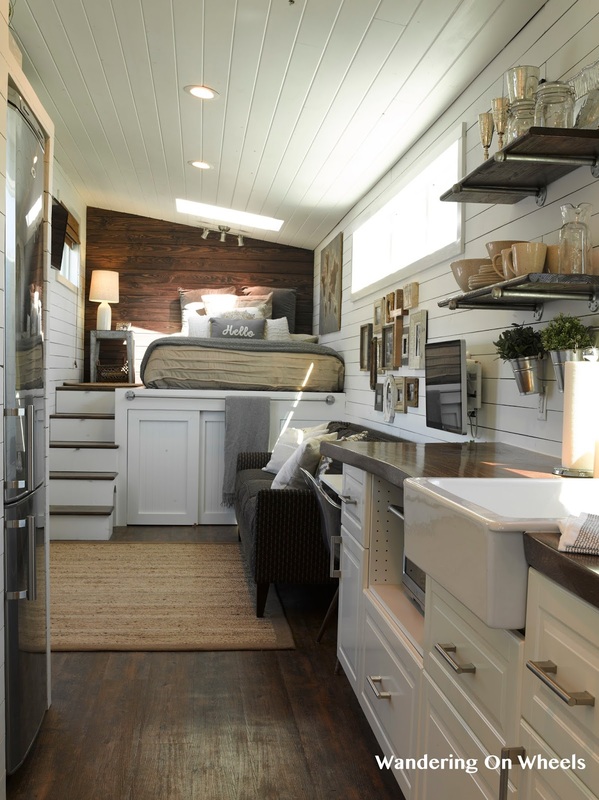 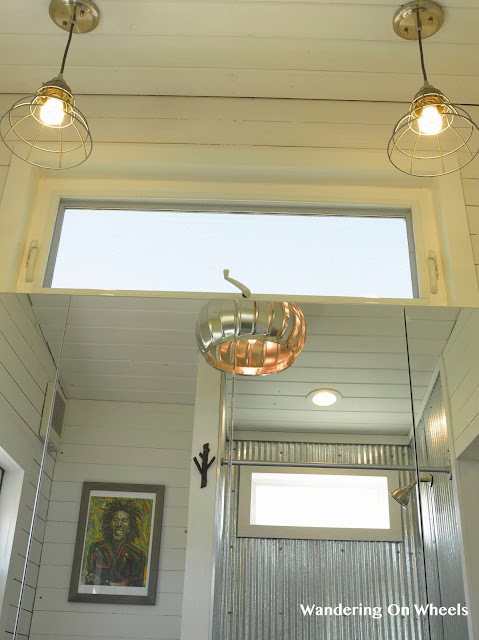 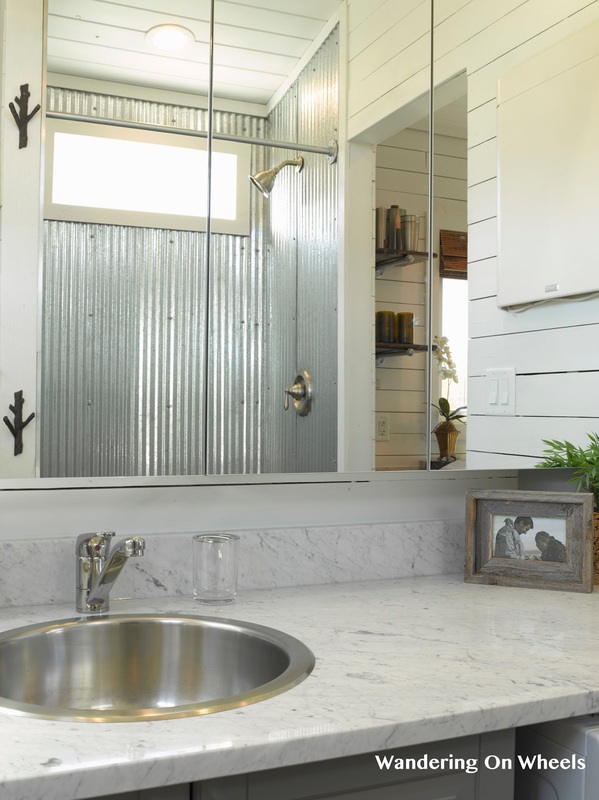 Since the Wandering on Wheels Tiny Home is very popular, it won’t stay on the market long! It's currently listed for $85,000. To gather more information on this home, contact the home's owners here!